Stay tuned for a final trailer and release date on our first game/port, Kale In Dinoland, coming in February. This is part two of an x-part series summarizing the design of one of the greatest games of all time, SOTC. Part 1 can be found here. Welcome back to Design Theatre! Today, we’ll take a look at how Shadow of the Colossus (SOTC) was designed in its first major sections of gameplay. #5. In the beginning of a game, introduce a short-term goal that shouldn’t change for the duration of the game. Ever wanted to create a game? Ever wanted to be involved in a team that makes games? It seems like fun, doesn’t it? In my first year at college, I noticed many people in Computer Science (CS) with a lackadaisical understanding that their CS degree would be their window into making video games. From a teenager just coming out of high-school, a career doing what you sit around playing all day anyway seems like a dream job. So students go into the CS program with an understanding that they will come out suddenly aware of how to make games. But this is far from the truth – most CS programs don’t even get into the specifics of game development, and CS – Computer Science – is not even about three-fourths of the development of a game, which also includes art and music, design, and business. In fact, it’s been argued that people can come out with CS degrees that don’t even know how to program! So where the hell do students get the idea that CS equals game development?? Part of it has to do with the substantial lack of good game development courses at universities. But even more of the blame should go on the students themselves, who don’t realize the amount of work involved in making a game. I’m currently working on a iPhone game, and despite numerous attempts to establish a team, other students end up quitting after they realize game development is not fun and games, but sweat and tears. There is a precedence for this. At the game development club at my university, apparently a year before I came, the club had a team of around twenty people developing a 3D adventure game for the PC. Needless to say, the team was made up of students who, as I’ve previously mentioned, have unrealistic expectations about game development. Their project never got off the ground, and the survivors don’t like to talk about it, disillusioned about game development in general. Is this really how it has to be? Do innocent CS students just have to experience game development the hard way? I think the problem here is the general consensus that “video games aren’t a serious medium” somehow spills over into video game development. Say, for a second, we called it “industrial development.” Suddenly seems boring, like a real job, like it requires serious work because “industry” must be serious? Well, the truth is that “video game development” is closer to “industrial development” than most people realize. Long hours, you have to work on things you don’t want to at times you don’t want to, you have a limited amount of creative control (if any at all), and no guarantee that your product will be a success. So if you’re a student taking CS to get into game development, start now, and start small. Ease yourself into game development making pong and breakout clones: you’ll learn more than you realize. Learn about the hardships of game development firsthand. You’ll save yourself a rude awakening later on. There’s plenty of great games that, for one reason or another, passed me by during the course of my existence. 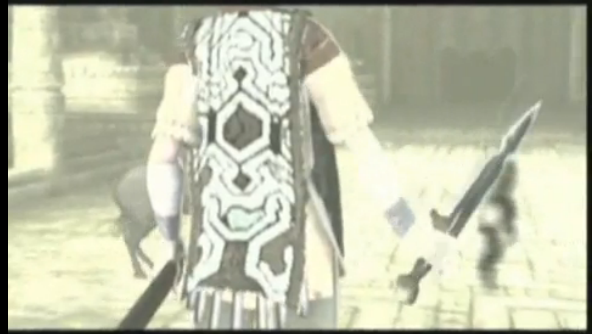 Shadow of the Colossus? One of those games. And now since SOTC comes up in almost every discussion on “video games as art” or as film or as an example of good design, I’m pressed to sit down and finally play it. First of all, if you haven’t played it yet, WHAT ARE YOU WAITING FOR GET A COPY AND A PS2 AND PLAY IT ALREADY!! ^__^ No, seriously. You’re missing out. Now then.. In case you’re designing a game with its own story and world, take a lesson from SOTC and open with questions, easing the player into their place in the world, while simultaneously immersing them in it. Half-life 1 and 2 do this: the player starts on a tram car, with someone talking, and while this dialogue alludes to events in the game world, it opens up many more questions than it answers. The original Halo also does this, with Captain Keyes and the AI Cortana exchanging dialogue without speaking to the player directly. In fact, even Braid does this, opening with the protagonist silhouetted against a burning city: why is it burning? Where am I? The answer to Braid’s question is answered at the end of the game, which nicely transitions back to the burning city after the epilogue, concluding the narrative and making the game seem complete. #2. Never let load screens upset the mood of the game: hide load times whenever you can. When our hero finally steps off his horse, we see him carry a girl (who looks his age) to what is presumably an altar, and sets her there. What is interesting about this scene is that you may not have noticed the girl at all until this moment, which serves to renew interest in the story after a quite lengthy opening sequence. 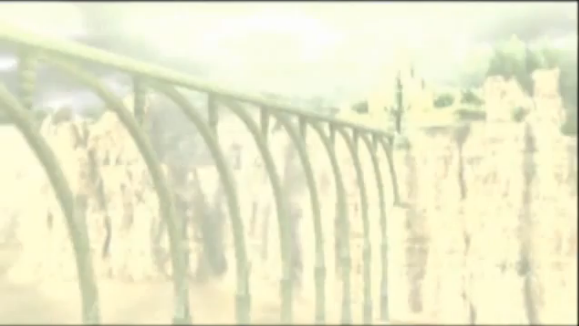 It is implied through an anonymous talking mask that she is dead, and our hero has ventured into the land of the colossi, (that was apparently so dangerous a giant bridge was built over it) apparent immortals whose physical incarnations can only be killed by a mortal with an ancient sword, which our hero conveniently yields. Here, our questions start to be answered, but more questions are raised. #3. Intertwine the tutorial into the story. The meaning of important plot objects should parallel their meaning during gameplay. 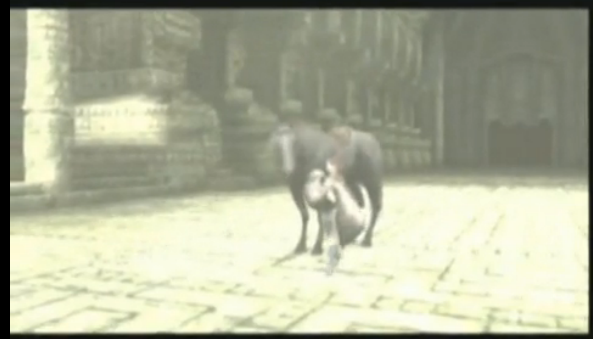 For example, the opening cutscene shows the player that they are alone with their horse, who enables them to travel long distances together – exactly what the horse is used for during the course of the game. The idols need to be destroyed — the colossi need to be destroyed. 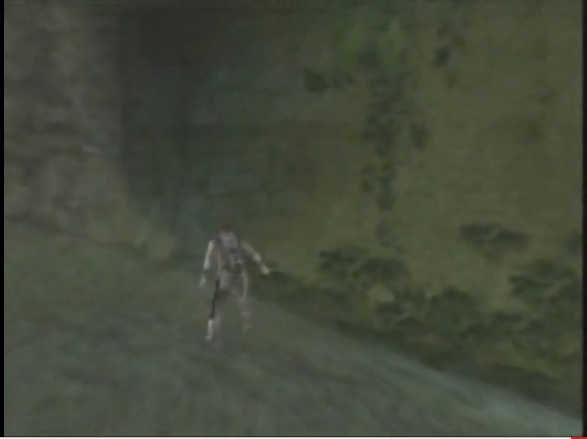 The sword allows our hero to hold some power — only the sword can kill the colossi. #4. When introducing a new gameplay mechanic, let the player show themselves how it functions. Books tell the reader; they speak directly to the reader, but they can only produce imperfect images because every human interprets words differently. English teachers tell you it is better to show than to tell in stories, which comes naturally to films. Films show the viewer (if they are good films! ); they show the viewer exactly what they mean, but the visual conception of the world is usually concrete. Great films usually go against the viewer’s visual conception of the world that the protagonist lives in – in Taxi Driver, (spoiler alert) this is when De Niro shaves his head into a mohawk, tries to kill a politician in an army jacket and then goes on a violent rampage. In The Shawshank Redemption, this is when Andy reveals that he’s been carving an escape passage behind his pin-up posters. Games let the player show themselves; the player, through experimentation and logical thought, can deduce the meaning and function of elements in the world. In level 1-1 of Super Mario Bros., you know to jump on Goombas to defeat them, use Mushrooms to grow and hit ? blocks to uncover power-ups and coins. None of this is told to the player from a third party – the player discovers the world for themselves. This marks the end of Part 1 — but don’t worry! ^__^ Part 2 is on the way! 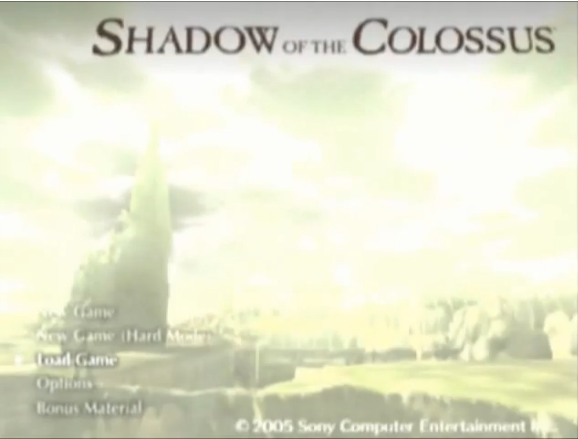 Whereas Part 1 focused heavily on story and the first steps of a game, Part 2 will focus on the colossi battles and their presentation.